When you think of a luxury home, does a huge house with multiple rooms come to mind? Many people automatically associate luxury with mansions and other large estates. Today, many people are turning from the large extravagant houses and designing smaller luxury homes with just enough space to cater to their needs. If you have a large family, you need a lot of room for everyone to have enough space to live comfortably but when it’s just the two of you or if you have a small family, a smaller home may be a better choice. Many people grow up thinking that small houses are cramped and uncomfortable, which is why it’s common for people to dream about living in a large luxurious home just like their favorite celebrity, but things are changing. Homeowners are beginning to realize that smaller homes can be just as luxurious as large ones and they have a few added benefits. For example, your utility bills will be lower and you’ll spend less time cleaning and organizing, but designing a small luxurious home does have its challenges. Creating a small luxury home begins with the interior design, which is why the planning stage is so crucial. You must calculate how much space you need to live comfortably based on your specific lifestyle. Addressing all of your wants and needs is necessary in order to have a luxury home. It doesn’t matter what size it is as long as it meets all of your requirements. Our experts here at J. 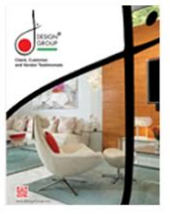 Design Group have the experience and knowledge to help you design a luxury home that meets all of your needs. Capturing your vision and turning it into an interior design plan is part of the services we offer in our complete project package. It also includes selecting materials for the project, hiring contractors, establishing deadlines and supervising the job to make sure everything is going according to plan. Contact us to schedule a consultation or simply to learn more about us. Calculating how much storage space you need is a very important part of your interior design. Not having enough storage will make your home look cluttered and feel cramped and uncomfortable. You need a way to display all of your collectibles and to store your personal items in a neat and organized fashion. Our experts are familiar with many new and innovative ways to create storage space that you may not have thought of on your own. These include using rows of narrow shelves in bathrooms, living rooms and bedrooms along with adding a wall of open shelves between your kitchen and dining area instead of a solid wall. This opens up the space, makes the rooms look bigger and gives you a place for storage. Large spacious windows will open up the living room or dining room area to make it feel larger. Decorating with mirrors and light hues will also make your home look bigger and feel more comfortable. There are many ways to turn a small house into a luxurious home but it all starts with the interior design.